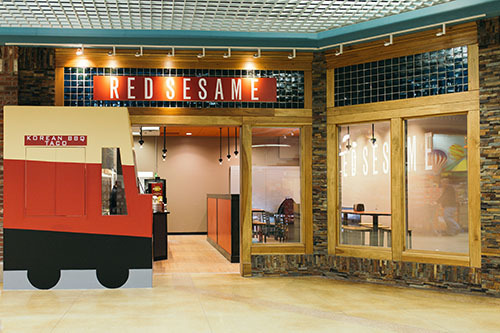 Born in 2012 as a food truck, Red Sesame brings unique flavors to the table for an unforgettable experience. Our food is a carefully crafted blend of the traditional flavors of Korean cuisine with the well-established culinary traditions of Mexican dishes to create a unique experience for your taste buds. We’re proud to say all of our food is made fresh from scratch. 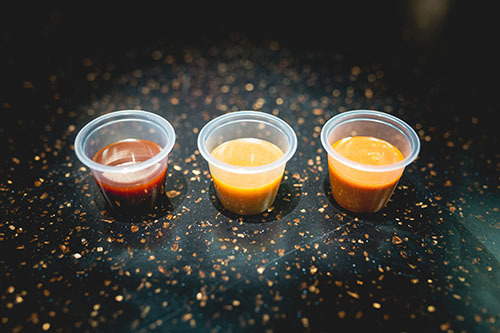 However, the real secret to what makes our food so memorable is our Korean inspired marinades and sauces we’ve spent months meticulously refining to perfection. Our dedication to fresh ingredients and creating the perfect flavor experience has made Red Sesame one of the most popular food trucks in the Greater Cincinnati area. Since the Red Sesame Truck first rolled out in 2012 there’s been a consistent demand for a fixed location. After four years of building relationships with customers, we decided it was finally time to expand. In 2016 we opened our first official location at Jungle Jim’s in Eastgate. BJ Kim was brought to Cincinnati from New York in 2011 thanks to a job transfer. When he arrived he noticed there was a shortage of options for ethnic food restaurants and it spurred within him a desire to contribute. He dedicated himself to finding the perfect way to combine his two culinary loves – Korean BBQ and Mexican. Soon, Red Sesame was born. Through trial and error, he developed in his kitchen the signature sauces and dishes served today. With the affordability and growing popularity of food trucks, it proved to be the perfect vehicle to share his passion for delicious food with the people of Cincinnati. We love seeing the smiles our food can bring to people’s faces and getting to know our ever growing community of fans.